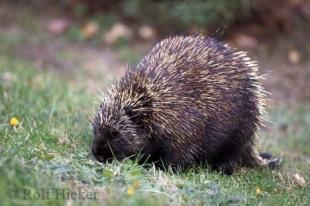 Photo gallery for Hystrix cristata, the scientific name for the crested porcupine. 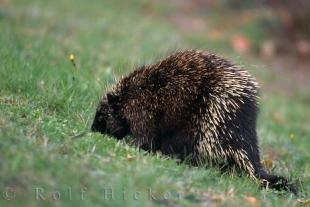 A porcupine grazes on a grassy area in the Kejimkujik National Park in Nova Scotia, Canada. A cute little porcupine spends his day sniffing around the green grass in Nova Scotia, Canada.